Convert your leftover withdrawn Clydesdale Bank banknotes to cash using our hassle-free online exchange service. 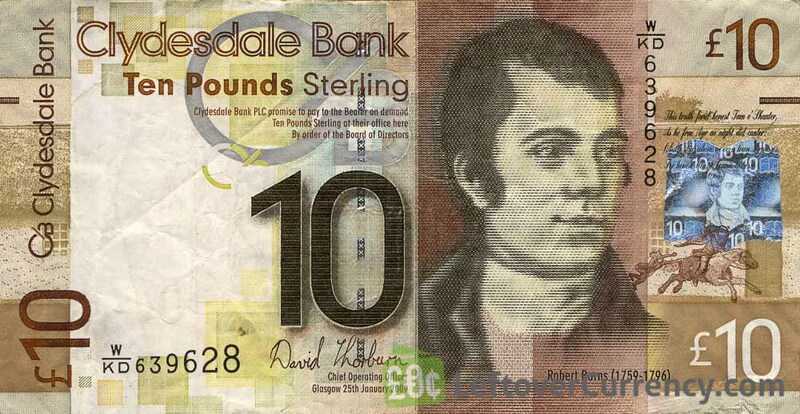 Get paid fast for your unused currency from Scotland. 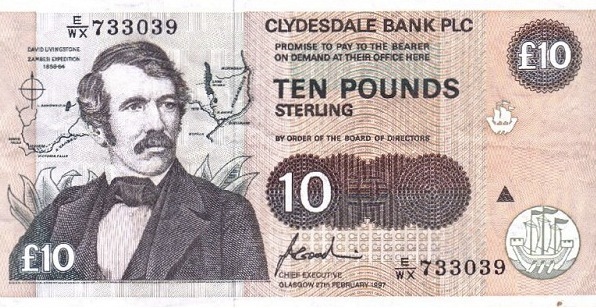 In 2009, the Glasgow-based Clydesdale Bank replaced older style Scottish Pound Sterling banknotes with a new set of notes, called the World Heritage Series. 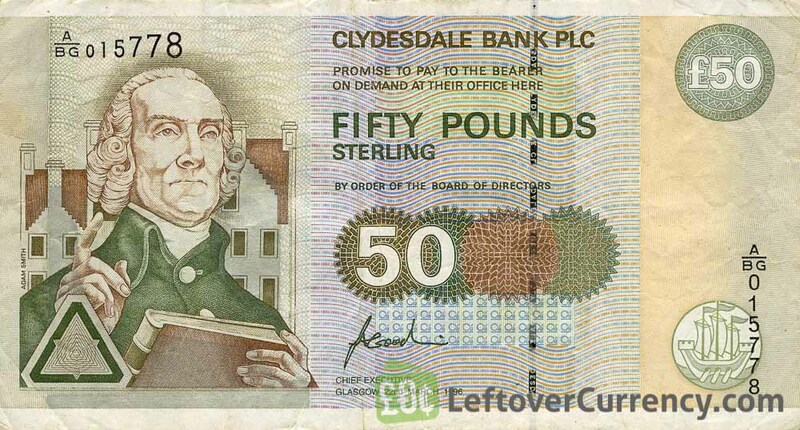 Withdrawn Clydesdale Bank bills are no longer a valid means of payment in Scotland. 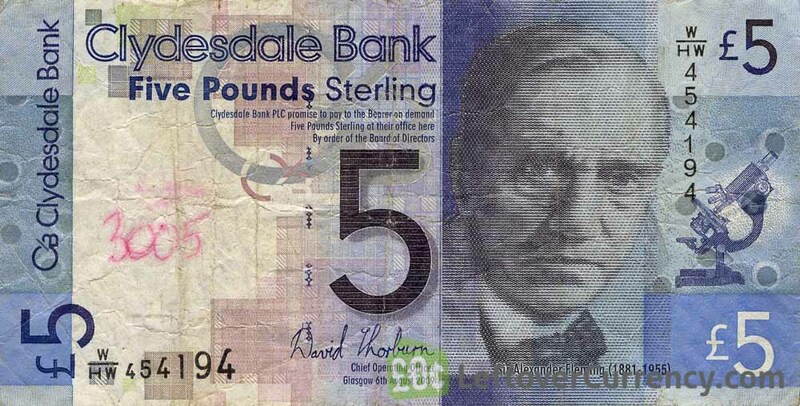 We give cash for these withdrawn Clydesdale Bank banknotes free of charge. 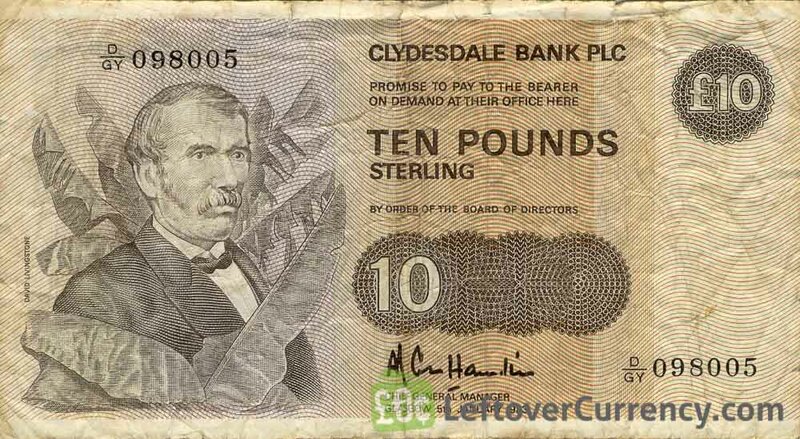 We also exchange for free current Clydesdale Bank notes. 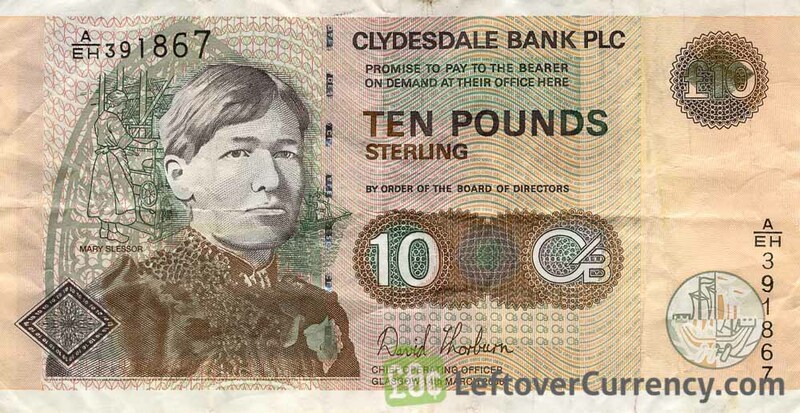 Do you have withdrawn Clydesdale Bank banknotes like the ones in the pictures below? Add the amount you want to exchange to your Wallet. You'll see exactly how much money you'll get for your Scottish Pounds. Click on the Wallet symbol to complete checkout and get paid within 5 days of receiving your currencies. 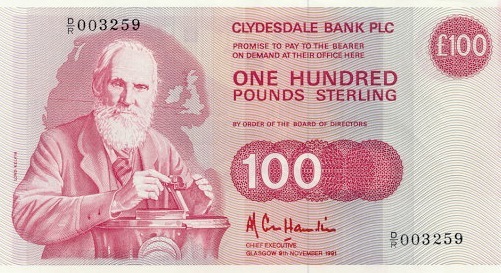 The lilac colored £20 banknote features Scottish engineer Lord Kelvin. 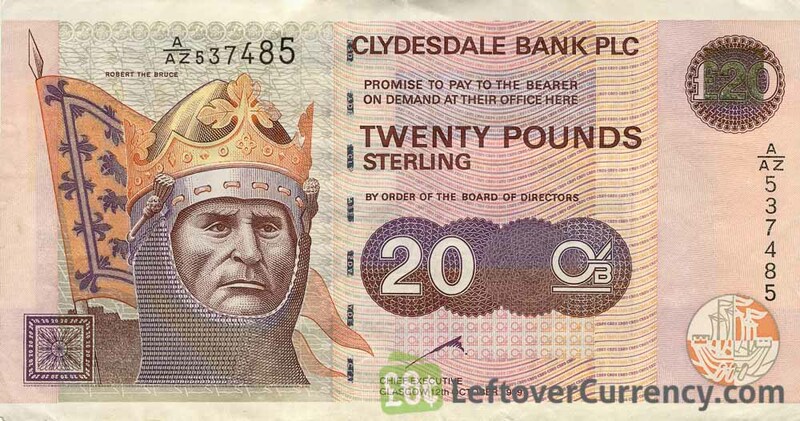 On the reverse side of the twenty pound note is a lecture hall in Glasgow University.